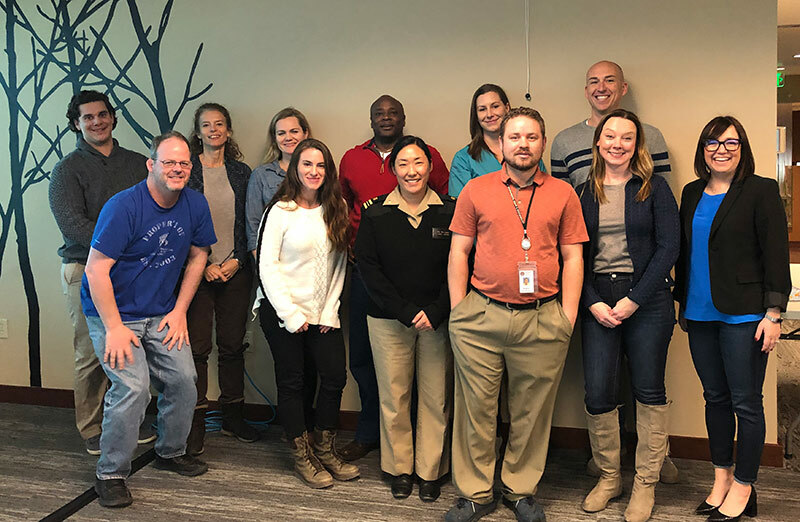 NEHA would like to extend our warm gratitude to the group of subject matter experts and staff at Professional Testing, Inc., who participated in the REHS/RS Exam Development Workshop in February. Thank you for devoting your time, experience, and professionalism towards maintaining our flagship credential. Left-to-right top row: Taylor Hendrix, Carmen Short, Aimee Rockhill-Carpenter, Michael Howard, Natalie Wright, Steven Chevalier. Left-to-right bottom row: Seth Odette, Erin Richards, Christine Williams, Robert Warwick, Sarah Hoover, Adrienne Cadle. Interested in participating in future workshops? Please complete a NEHA Volunteer Interest Form. We would love to include you in upcoming workshops!